My mom turned 80 and we decided to do something memorable. What did we do? 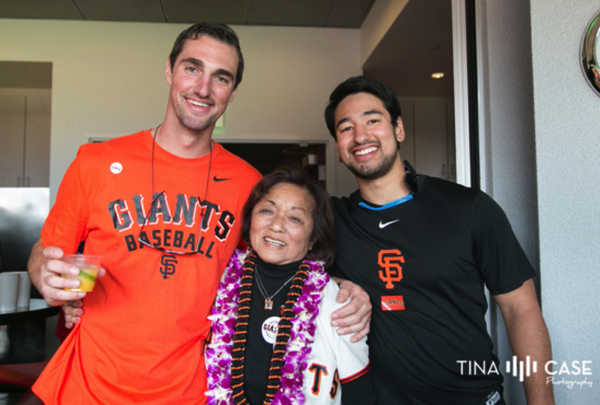 We had 50 family and friends join in celebrating at a SF Giants game in a private suite. Here is my mom. Well her back. We have great pictures from my Mom’s neighbor, Tina Case Photography. Below is the AT&T park and the scoreboard with a Bday message. Here is mom with a couple of grand kids. Here is the whole group who rode the bus.